This ended poorly last time. Someone needs to take this damn character creator off me before I go insane. Despite myself, I decided to download the benchmark for A Realm Reborn, the 'no seriously guys we made an MMO that isn't hot dogshit!' 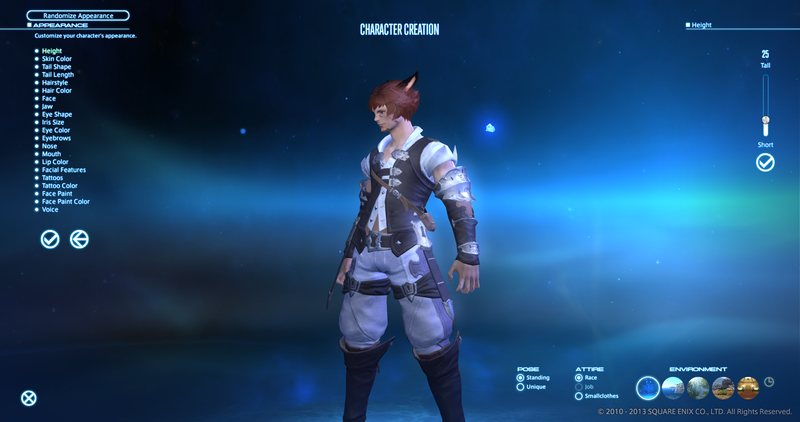 version of Final Fantasy XIV. Unfortunately for my willpower, said benchmark is bundled with the character creator, which is faaaaaaantastic. I really like good looking character customisation, especially in RPGs. So... I've spent the past hour making hot cat dudes. The benchmark ran quite well at high settings on my machine (I scored around 6760/Very High on 2-ish year-old hardware) and the game itself looks really nice, especially the character models. Sigh... I'm probably going to play this when it comes out, aren't I? Stupid MMOs sinking their stupid hooks into me with their stupid pretty characters. Are you yourself a fan of making terrible mistakes? You can download the benchmark here.